There are often discounts offered to senior citizens and small children for independent swim. Discover by contacting your nearest pool among these Vanuatu Pools. Do you know of any Pools in Spain that needs to be listed here? Contact us!. Traveling to Vanuatu? This really is the right spot on the web to discover places to swim in Vanuatu. Every day you are not swimming you're losing precious time in improving your skills to be a superior swimmer! No more excuses! 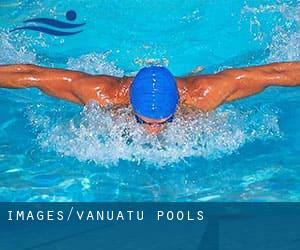 Uncover your nearest Vanuatu Swimming Pool and tell us how it went. Are you on holiday and want to maintain fit and healthy? Swimia.com provides you the uncomplicated and quickest way to uncover Aquagym in Vanuatu near your current location. 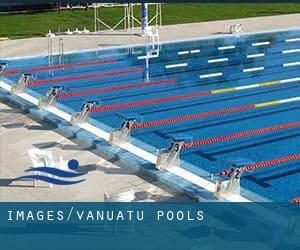 If you are looking for Vanuatu Pools, it's good to know numerous of them belong to gyms or sports centres which also present lessons. Get informed by calling the premises. Please have a look at the pools swimmers like you've reported near Vanuatu. Please, report any Vanuatu Swimming Pool not listed here. One with the advantages of outdoor swimming in Vanuatu is the possibility to sunbathe for the duration of the summer time season. Taking it with additional care, sunbathing is wholesome due to the fact introduces Vitamin D into the body, so the most effective choice seems to be switching in between indoor and outdoor pools based on the season. Whereas Norsup is one of the six most populous cities in Vanuatu with nearly 2.998 residents, you shouldn't miss that one if you're going to Vanuatu. Let us let you know a secret to switch off while you happen to be in Port-Olry: just choose a Pool in Port-Olry and plunge into the water! There's no much more efficient system. Without a shadow of a doubt, swimming in Luganville will be the finest method to unwind right after perform. Take a couple of minutes to browse Swimia's catalog to find a Pool in Luganville. It's difficult to visit Vanuatu without having dropping by Isangel (with 1.437 residents). Presently Swimia is showing you all the Pool in Isangel and also the closest pools located in its vicinity. Holding an estimated population of 35.901, Port Vila is one of the most important cities in Vanuatu. Check all the Pool in Port Vila and its surrounding region. Swimming is really a great idea to keep your body active for the duration of your visit to Sola (Vanuatu), or perhaps if you're a local. Swimia assists you to find your closest Pool in Sola. White Sands Beach , Port Vila . This sports centre provides 18 meters, Outdoors. Contact info for this Pool for instance phone number and email address are number.